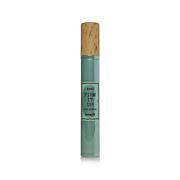 Eye serum to be applied on the entire eye zone to help firm the appearance of eye-area skin, providing a more lifted look. Black Pine 3D Super Eye Serum needs to be primed. The bottom base of the unit twists to lock in place and twists to open. Work gently onto the entire eye zone. Start from the inner eye corner and apply on the lower eyelid to the temples. Continue on the upper eyelid towards the brow line. Key ingredients include ElastiLift-3D™, a breakthrough skin complex; black pine extract and black pine polyphenol epigallocatechin; low- and high-molecular weight hyaluronic acids; and the Defeye Gravity complex. Have very senstitive skin and I was nervous about trying anything new especially around my eyes. Happy to report no problems with this product. Now if it makes me look younger we will have a sure winner!! I have vertical wrinkles on my left eye and nothing has worked until this product. I will not be without it! I have vertical lines above my eyes and none of your other fine products have helped. This product is magic ! Vertical lines are gone . I am over 65! And extremely happy. Plus a little is all you need. Droopy eyelid for years and I've used eye cream for past 20 years. In THREE days it looked 50% better. Can't wait to see 30 days later.I'm thrilled and I bought Korres black pine day and night cream and they are both working just as fast just as well. I've tried dozens of systems over the years but this? holy Toledo I am thrilled. In just three days it is noticeable to others. 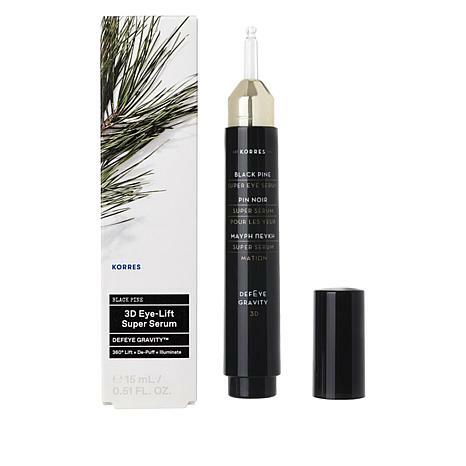 this Korres Black Pine 3D Firming & Lifting super Eiye Serum is amazing. I shall keep using is because my eyes looks so much better. a little bit goes a long way, one of the best I've used.